One of the easiest phone apps you can use in 2017 is Ibotta. It's a rebate app that allows you to save money on groceries. It is a rebate, because you get the money direct to consumer. The store does not accumulate the savings like with coupons. The money is paid out to the consumer direct, it is paid each time you reach a $20 threshold. You can take your money in the form of a paypal deposit, or an Amazon gift card, or many other gift card options. One of the appeals to Ibotta is the way they offer brands and non brands at the same time. You can get dollars on all kinds of brands, and often you can get any brand rebates in the dairy department and in fresh produce. These work together to allow you to redeem many rebates during a month. There are generic offers each week and these change frequently. 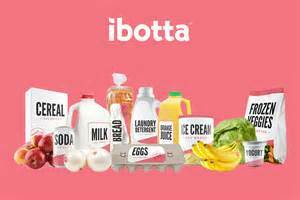 Ibotta offers other ways to save money too. One of the best ways, is to offer you a bonus system when you consistently use Ibotta, and redeem rebates. This is the best way to increase your savings on items. The bonuses can add up to a lot of money. Usually you will get $2 bonus offers when you redeem 3 rebates. When you apply that amount to each item, you are adding $.67 per item, which is a good product value. As you redeem one bonus, others will be offered. These bonuses can be awarded on your choice of purchases. Some who use Ibotta regularly insist these are worth more than the basic offers. Finally, you can get $10 when you sign with a referral. Always use a referral code to get started, it's free money! (Here is a general code if you need one wnmjkey) Then after your first redemption, you will be allowed to share your own referral code for $5 per person who signs up and redeems an offer. It's a great way to put you over the top of any redemption. There is not a limit on these bonuses. The best part about using Ibotta at County Market is that you don't have to scan in your receipt and wait for approval. All purchases with your max card are automatically calculated. You pick your offers before you shop. You shop and scan your max card. That is it! It will post to your account, and when you hit $20 you redeem your savings. Use all the bonuses, sign up money, name brand, and store brand offers to add that extra savings to your annual goals.